There is an active criminal investigation underway in Georgia in the Bobbi Kristina case ... it centers on possible foul play and the target is her boyfriend ... TMZ has learned. Law enforcement sources tell us ... Bobbi Kristina had certain injuries that have piqued their interest. We do not know the nature of the injuries. 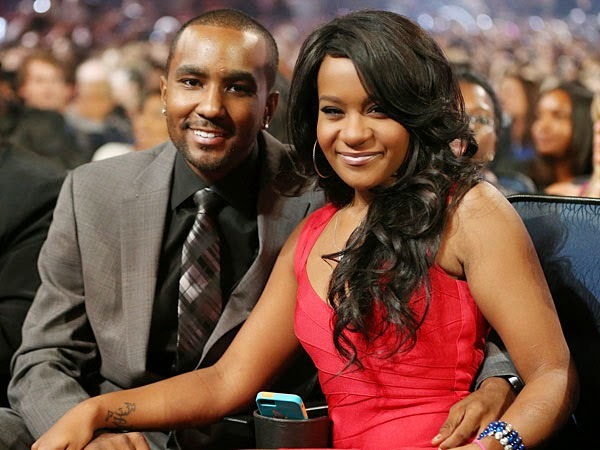 Multiple sources tell TMZ there is a history of violence between Bobbi Kristina and boyfriend Nick Gordon. We're told police are looking into a possible altercation more than an hour before Bobbi Kristina was found submerged in a bathtub. We're told Max Lomas -- the friend who discovered Bobbi Kristina in the tub -- arrived at around 9 AM last Saturday. He says he hung out with Nick but did not see Bobbi Kristina. He was told she was in the bedroom. Nick wandered away and Max says he didn't pay attention to his whereabouts. The cable guy showed sometime after 10 AM and Max says he let him in -- Nick was nowhere to be seen. The cable guy said he needed access to the bedroom so Max let him in and discovered Bobbi Kristina in the tub. He screamed for Nick, who ran in and administered CPR. We're told Max claims Nick allegedly cleaned up the home and removed blood stains. Cops interviewed both Max and Nick and they want to debrief Max again, but our law enforcement sources say Max's lawyer insisted on immunity before he spoke again. We're told as of Friday morning Max hadn't gotten immunity or talked to cops. Our sources say Nick Gordon has also lawyered up. We could not reach Nick for comment.